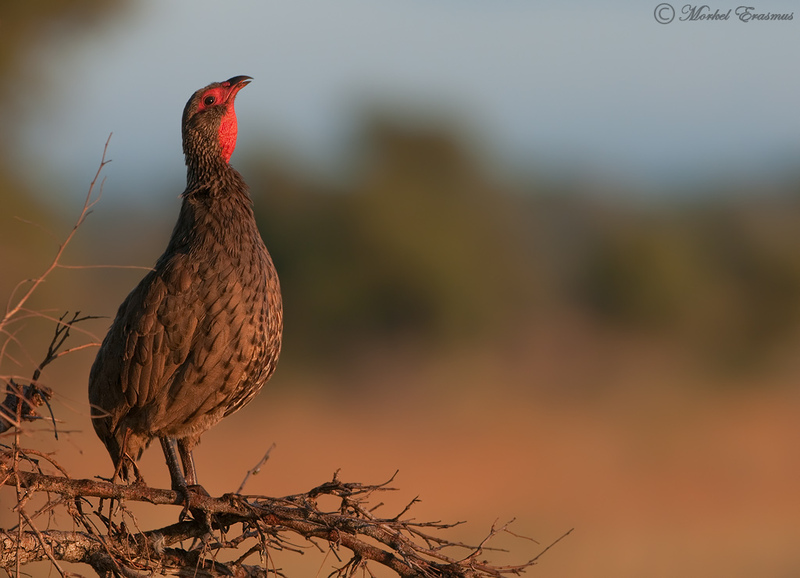 There are very few things that affirm to you that you are in the bush and you need to wake up to go on a game drive as pleasantly as the morning call of the Swainson's Spurfowl. This call evokes endless memories of trips to the Kruger National Park and surrounds in me, and I'm sure many of you too. This bird is actually a francolin, and can be found all over Southern Africa. This particular photo was taken early one morning close to the Satara rest camp in the Kruger National Park. Now I feel the need to go on safari...darnit! Don't you?